Those of you who are familiar with our site most likely already know that we offer Sawgrass inks for sublimation. 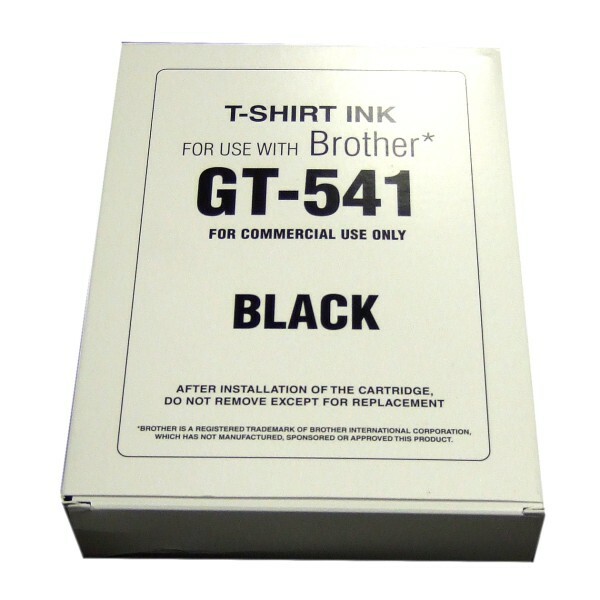 What you may not know is that we also offer NaturaLink B which is ink for the Brother GT-541 direct to garment printer. Today I thought I would tell you a little bit more about that ink and how it can help you if you use a Brother GT-541 printer. pigment ink and is environmentally friendly. There is no difference in color rendition, or chemical behavior that your printer can detect, between NaturaLink and the Brother ink. Second let’s discuss the differences you will see if you switch from Brother OEM ink to NaturaLink-B. The short answer to this is that you won’t see any, except for increased wash fastness. You may simply replace an empty Brother® cartridge with a new one containing NaturaLink-B without concern. For optimum printing performance, make sure that there is no original ink left in the cartridge you are refilling. The small amount of original ink remaining in the in the lines and dampers will not have a noticeable effect on printability. Third, we should address how we know that there is a difference in washfastness. The answer to that is simple, Sawgrass did a side by side comparison. After five washes NaturaLink has substantially less loss in optical density than Brother inks. This means that your prints will stay brighter longer. Optical density (OD) is a measure of the intensity of the color in a printed image. The higher the OD, the more intense the color. Over time, and with repeated washes, colors fade. A faded color is a color that has lost intensity, and has, therefore, a lower OD—the result of OD loss. Fourth, and prehaps, most important, we should answer the most pressing question for many people, will using NaturaLink-B void the warranty on your Brother printer? The short answer to this is no. In the United States, the Magnuson-Moss Warranty Improvement Act of 1975, as well as the Sherman and Clayton Antitrust Acts that precede it, stipulate that a manufacturer cannot void your warranty for using third-party ink or cartridges. To learn more about NaturaLink-B, please read the GT-541 FAQs on our website.